Match Play Golf Figure Crystal Awards. Available in 2 sizes, 125mm and 135mm high. 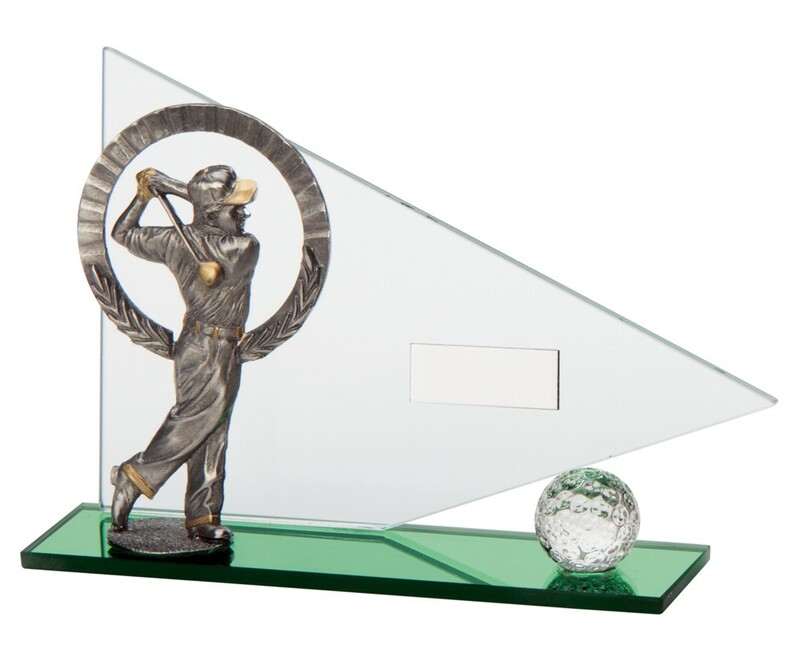 Premium Jade Glass 5 mm thick with a hand cast pewter golf figure and wreath standing on the green crystal base and a 3D crystal golf ball.